I wanted to know where do you get your news? I doubt there are many here that can afford bloomberg terminal, and internet searches did not lead to a satisfactory answer for me. I, personally am simply subscribed to bloomberg and watch bloomberg tv for live news (for breaking news sometimes) but for TRADING the news that is not good enough, just lends an easy interpretation for what is happening with a slight delay. What do you use for real time news? For getting latest economic data? For articles (non-time sensitive)? Is there an affordable solution for retail traders that deliver real time news/economic data at affordable prices? Or do you not care about news at all, and simply go by price action? Being an algorithmic trader only technical analysis matter. Everything that does not belong to my strategies is just noise and disctraction. I do consider news “one” important factor in the mix (at least for one of my DARWINs at the present time), but I tend to incorporate certain statistical aspects of releases over rolling windows, not for trading real-time. That is a question I have been considering myself. I personally think news is not important enough to spend money on, but it is important to be aware of what is on the economic calendar to see what the market may or may not be keying off of. I use the calander provided by forex.com. I find it is ok, sometimes a bit late updating information. I went through an evolution and do not care anymore about economic news, neither at the time they are released. * to check the holidays calendar, in order to not be stuck in position (overnight) from an early market closure I wasn’t aware of. What do you use for real time news? For getting latest economic data? Be sure to re-check the news for 2 sources. In the settings, you can filter news by currency name. I personally don't trade news , but I do know forex-pro used to and maybe still do have a free squawk feed that notifies all day as new events and developments happening, with i think maybe 5-10 second delay. all you would need is s demo account with them. As far as I'm concerned, I'm totally focused on exclusively technical systematic trading. I have better to do (and am tired of) than playing "good news is bad news" (and vice versa) markets gambling game. The government's nonfarm payrolls report showed growth of 155,000. 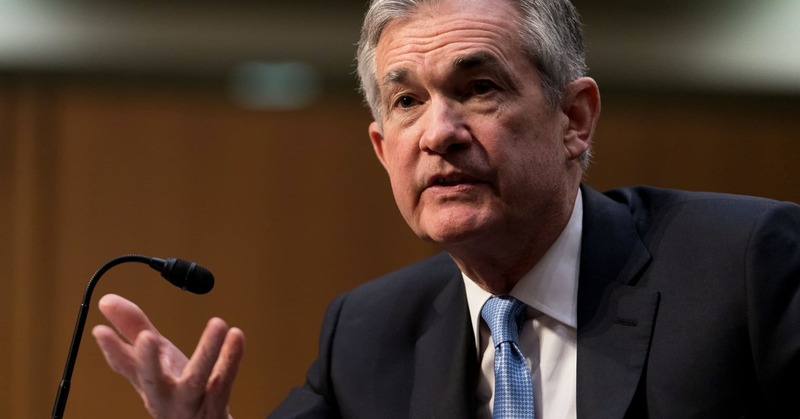 Though that's still a pretty healthy level of gains this late into an expansion, it could be enough to make the Fed hesitate about its plans to keep raising interest rates. I am inclined to trade news because the catalyst is usually clear for market movement - this way I have full understanding of the parts of my manual trading. Trading based on technicals/price action -> for this, I have been working on something for many a year now, but I know for sure that I am absolutely not suited to carry this out manually. I found that I enjoy manual trading, and am trying to cultivate myself into a better one -> and for me, the only strategy which I am comfortable in engaging is news trading, with clarity of catalysts. Hence, I would love to know a good source for real time news. but I know for sure that I am absolutely not suited to carry this out manually. The so much sought Holy Grail method/technique is to find your own trading style that fits you. The problem is that educational material on how to beat the market with news and fundamentals is completely lacking. At least 10 times less, so if it took me 3 years to become a decent technical/systematic trader it would require me 30 to beat the market with news or fundamentals, no thanx I want to make money in this life possibly. It's named Inside Trading ! In order to filter your needs, would you mind to specify the financial instruments in which you're interested ? News sources can be specific according to your answer . Us equities, EU equities, major currencies. Quite a wide span. OK, thanks. Indeed, you need wide news aggregator ! We dont' have to forget that we are here to manage an AuM . The only example of news trading is THA with its tons of problems of divergence. News trading is hit and run, it would be never suited to manage millions. Trading breaks (irregular trading hours or holidays) calendar... which Darwinex does publish in advance ! Just centralising where I gather info though. If Darwinex wants to hear my call on CFD dividend adjustments info availability ? Am less ambitious and manually scalp Cable during London session...fxstreet.com economic calender keeps me on the sidelines when high volatility news is expected. Disclaimer : it must be taken for what it's worth, I'm just sharing :). Disclaimer 2 : No, @yhlasx, I don't intend to deviate you from your trading style ! Hm, it is what hosts on bloomberg referred to as the smart money - the money that does stuff during last 30 minutes of trading. It is important to note that 11-12 hour is actually closing time for europe, thus their smart money hour, and 3-4 is smart money hour for the US. It is actually a pattern I have exploited in the past -> If there is a solid reason to believe the day is a risk-on kind, with good news catalysts, and there was some downslide before the last 30 minutes since lunch, then buying just before the last 30 minute mark works out pretty well.